We caught up with photographer Jason Gebauer when he was passing through Winter Park, Colo., while scouting landscape to shoot this coming winter. A resident of Golden, Colo., Gebauer is on the road two months a year but gets out climbing and photographing about three days a week. "I mostly shoot climbing and climbing lifestyle, but I've been getting into skiing and ski mountaineering," he tells us. 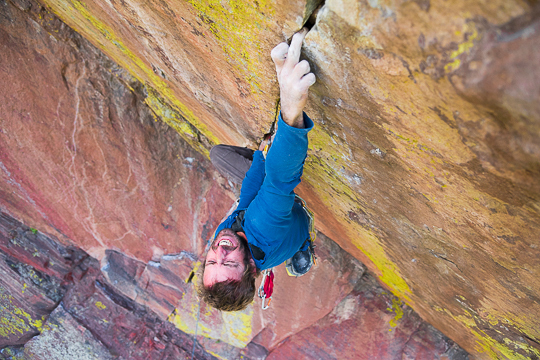 One image, Wyatt Payne freesoloing Eldorado State Park's 5.10c "Outer Space," piqued our interest and we wanted to know more. "I have this personal stance on freesoloing," he said. "I don't care if someone wants to do it. I block it out that they're [ropeless]. I can have someone redo a shot when they use a rope, but when it comes to [soloing], I stay silent and let them do their thing. I've witnessed quite a few freesolos, from easy stuff in Eldo to sandbagged routes like Pat Kingsbury on The Umph Slot in Boulder Canyon, which is 5.8++ or 5.12." It was a cold spring day and after deciding to shoot the night before, we ended up on the Country Club Crack (McCarty-Rouillard, 1956; FFA: 5.11c Ament-Stults-Rutwitch, 1967) in Boulder Canyon. I've always been intrigued by the history of climbing and how it has evolved over the years. This route definitely holds a place in the history of climbing. 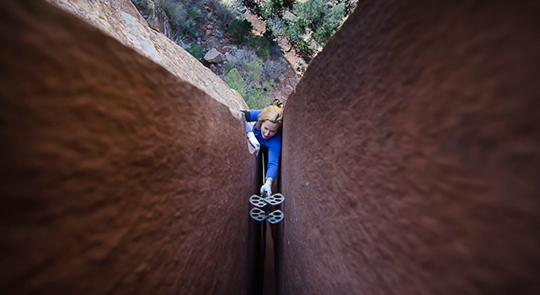 With the FFA in 1967, it once held the title of hardest crack climb in the US. Climber: Eric Jesse; belayer: Ilana Jesse. 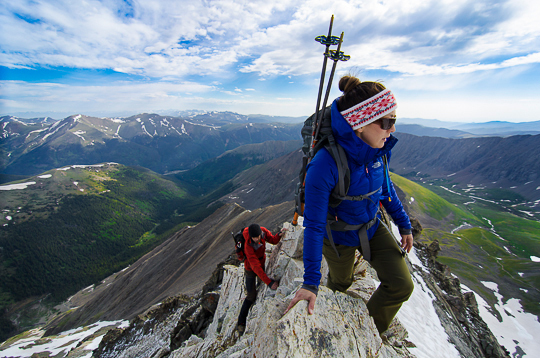 July 4, 2014 was spent on an early morning climb of Colorado's Kelso Ridge (2,000'). While not a technical route, Kelso Ridge offers dramatic views of the valley below and gives off a big mountain vibe. Heather Porpiglia, James Johnson and I enjoyed a moment of reflection while taking in the dramatic views from the knife-edge portion of the route. 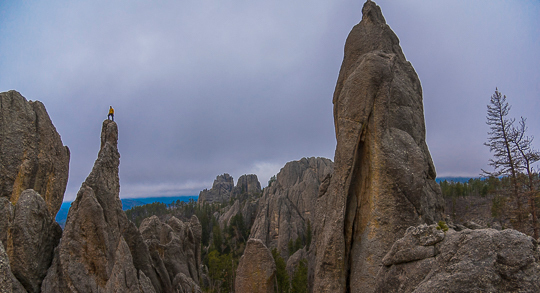 I always knew about the Needles in the Black Hills, but it was never high on my tick list until moving out West. With ground-up hand drilling and old school spire rappels, you leave with a sense of untouched wilderness and remoteness. We set out in late May to escape the rain in Colorado, only to arrive to the threat of more rain in South Dakota. Undeterred, we took a quick drive to Custer State Park and tried to get a few climbs in before the rain fell. I captured Patrick Gensel topping out on The Hitching Post (5.3) just before dark. 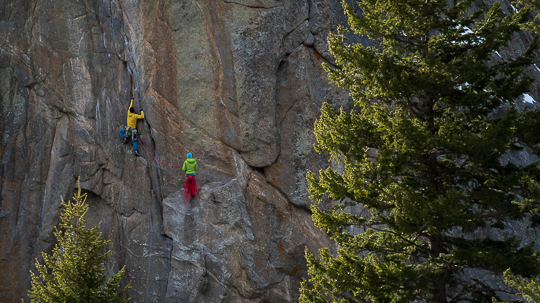 Located in the Flatirons just outside of Boulder, Colorado, Five Year Plan (5.13 a/b) is considered one of the hardest Front Range cracks. Pat Kingsbury hit me up for an early morning rally—some people just want to get on routes that most don't want to even attempt. It's great being around someone who is that motivated. 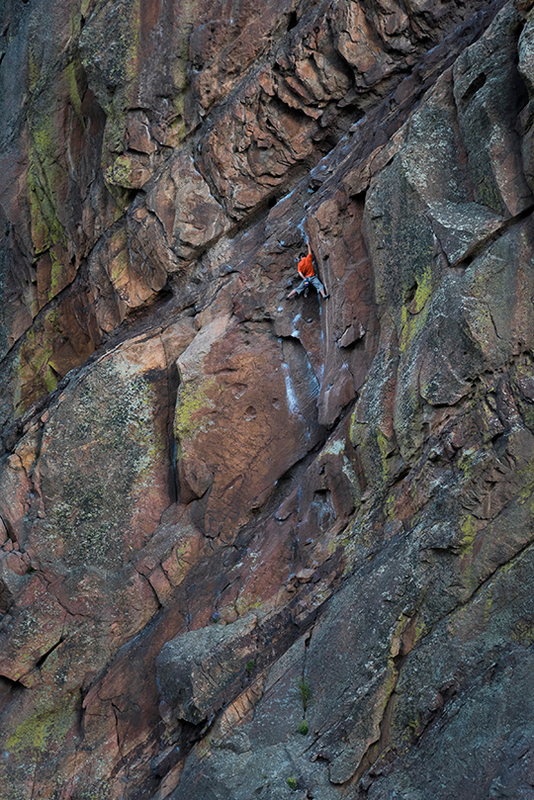 Climbing 5.10 in Eldorado Canyon is one thing. Freesoloing a two-pitch 5.10c is a whole different game. Wyatt Payne is one of those people who when you meet them, you know there is something different going on there. I soloed up the Whale's Tail formation across the canyon to get the shot. I had the best seat in the house for a beautiful display of mind over body. When researching my trip to Iceland, this spire was one of the first images to catch my eye. 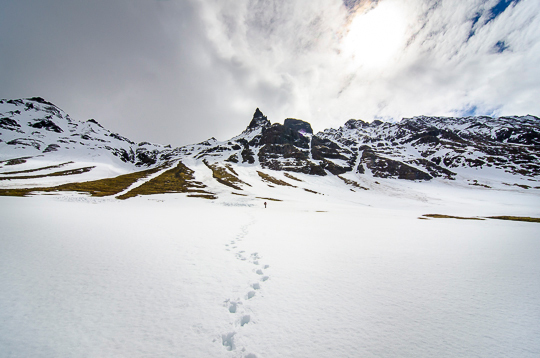 In Iceland the weather can change at a moment's notice. After nearly a week of wind, rain and snow, the night became calm and the skies cleared. The morning was warm and we got an extremely late start on our climb. I captured this shot of Patrick Gensel heading toward Hraundrangi as Heather Porpiglia and I followed. As we made the approach, two wet slab avalanches ripped past us, one on our left and the other on the right. After that we bailed. Snow, sleet, and rain turned what is usually a six-hour drive to Indian Creek into a nine-hour drive. I rolled into camp around 11 p.m. just in time for a quick hello before everyone was out. I awoke to pouring rain and people packing up to head home. Pamela Shanti Pack and Pat Kingsbury stayed warm in their tents. They didn't have anywhere to be for at least another three weeks. The next day the rock was dry. I jugged up over an empty Indian Creek and squeezed into the offwidth. I couldn't move, let alone look through the camera. I held my lens below me and fired off six shots. This was number three.